Hobbies Include : horseback riding, reading, video games (especially the Legend of Zelda franchise), cosplay, making art, crafting, and spending time with family and friends. What Made you Want to get into Cos-Playing ? I've always wanted to do cosplay, ever since I first heard about it in high school. But, I never had the money or the know-how to even begin, and I didn't have any friends that would've been doing it with me. It wasn't until I moved to St. Charles a few years ago and met a whole new group of friends who had experience in the cosplay community that I got serious about doing it. 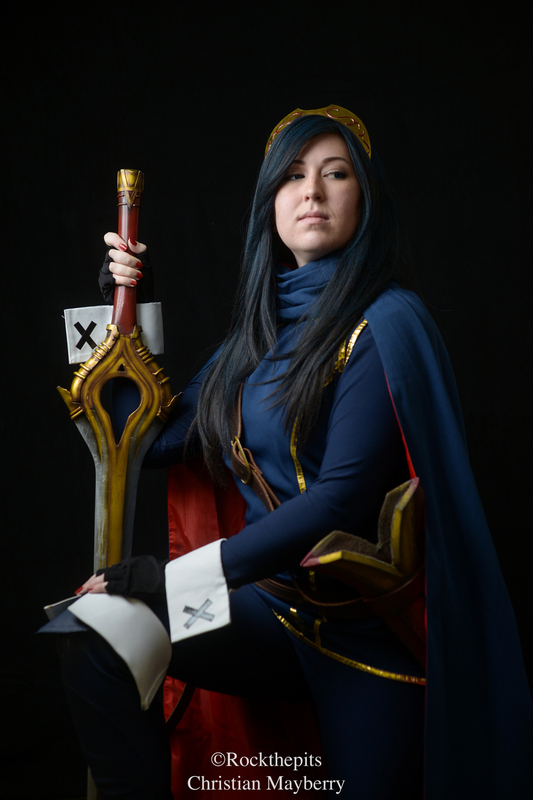 My friends have been so helpful and encouraging of my desire to cosplay, and they are the reason why I've been able to portray Lucina from Fire Emblem: Awakening. This is my first cosplay of many (hopefully), and I truly enjoyed portraying her at Wizard World St. Louis earlier this year and at Archon last month! Next Cosplay: I'm planning on cosplaying the Gun Gale Online avatar of Kirito from the anime show Sword Art Online. His avatar gets both a gun and a photon sword, which is pretty badass!